On June 6, 2012, the world will change and its forever. Major Internet service providers (ISPs), home networking equipment manufacturers, and web companies around the world are coming together to permanently enable IPv6 for their products and services by tomorrow on World IPV6 launch day. 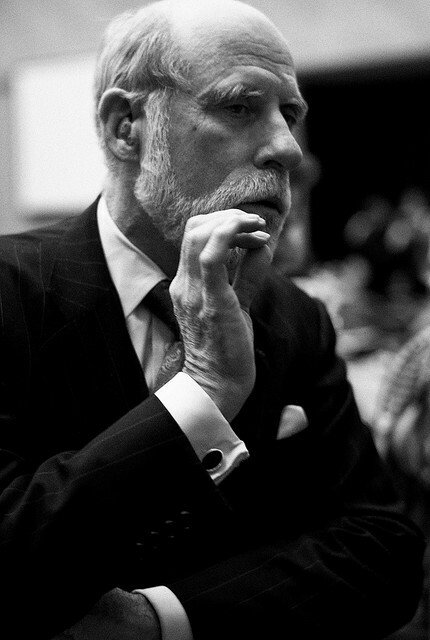 To remind about this launch, Google posted a video of Vint Cerf who is called Father of the Internet and also a Chief Internet Evangelist at Google where he discusses the next version of IPV6 and why we need it. IPv4 is the current version of the Internet Protocol, the identification system the Internet uses to send information between devices. This system assigns a series of four numbers (each ranging from 0 to 255) to each device. IPv4 only allows for about 4 billion addresses and the Internet needs more room than that. IPv6 is the new version of the Internet Protocol and expands the number of available addresses to a virtually limitless amount–340 trillion trillion trillion addresses. Was there ever an IPV5? Version 5 was reserved for the Internet Stream Protocol developed prior to IPv6–it was never widely deployed and will not be used publicly. Why is this transition happening as part of World IPV6 Launch? The problem is that the current Internet addressing system, IPv4, only has room for about 4 billion addresses — not nearly enough for the world’s people, let alone the devices that are online today and those that will be in the future: computers, phones, TVs, watches, fridges, cars, and so on. More than 4 billion devices already share addresses. Who all are participating in this transition other than Google? Akamai, Comcast, Free Telecom, KDDI, Time Warner Cable, ATT, D-Link, Limelight, XS4ALL, Cisco, Facebook, Internode, Microsoft Bing, Yahoo! and many more. For the complete list, head over to this link. How do I verify if I am on IPV6 or not? Google created a test page to verify this. Visit ipv6test.google.com to find out. Many devices you use already support IPv6; however, the websites you visit and your Internet Service Provider must first enable IPv6 before you can use it. What if I experience any connectivity issues during or after this transition? Google claims that over 99.9% of users will not have any problems going to IPV6. However, if you face any connectivity delay or latency issues which may have occurred by misconfiguration or misbehaving of your home routers, operating systems, etc. Upgrade to the latest version of the browser which you are currently using. If you are using Windows 7 or Windows Vista, Microsoft posted a tutorial to disable IPV6 in this knowledge base article. Alternatively, this automatic fix download from Microsoft will allow you to prefer IPV4 over IPV6. If nothing works, it could be a problem from your Internet Service Provider, contact them to resolve the issue.